This one requires some skills and maybe a bit of practice, but trust me, if I can do it, you can definitely pull it off as well. I wouldn't quite describe myself as clumsy, but I am by no means the most able handed person in the world. Trust me, it's not as difficult as it might seem at first. What you need to do is start by parting your hair on one side, right or left it doesn't matter. Start a french braid from the top of your head and work your way to the side, while pulling in hair strands from below and above the braid. Once you reach the back it might be easier to switch the hands on to the other side, or at least for me it was easier to do it this way. 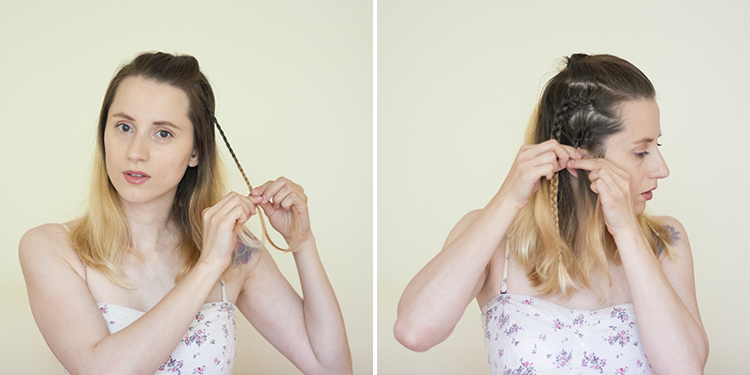 Try to keep the braid rather loose. Now remember, it doesn't have to be perfect because we are going for an effortless look over here, so don't worry if hair is starting to come out, you can fix it in the end with a couple of bobby pins. 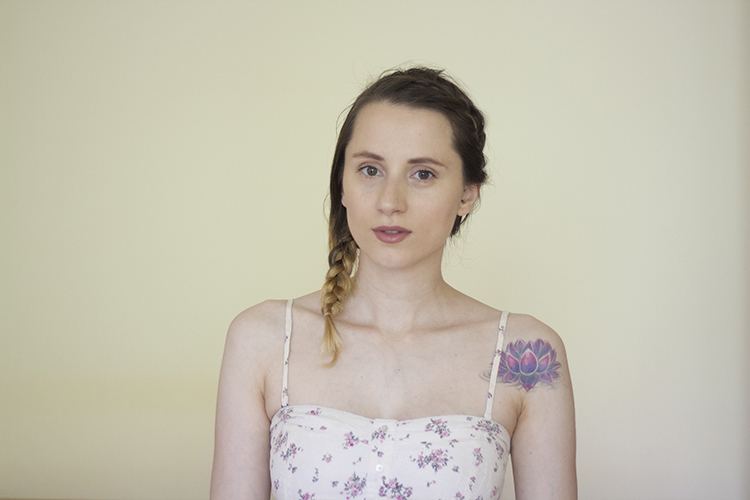 Once you've gotten to the other side of you neck and have pulled all the extra hair into the braid, just keep going with a simple braid and secure the ends with an elastic band. My hair has been recently washed, that's why I have all that fuzz sticking out. Try this hairstyle a couple of days after washing your hair and it will look a lot smoother and put together, if you prefer it that way. This one wasn't really planned out, I kind of made it up on the way. But I have to admit I took some inspiration from the show Vikings. I don't know if you guys watch the show, but let me tell you it's worth watching for the hairstyles alone. Of course they are a lot more elaborate than mine, but the characters there have longer hair, and I suspect some hair extensions as well. I started by pulling back the hair on the top of my head and securing it with a clear elastic band, and exposing the sides. I then started to do a couple of simple slim braids on one side of the head. On the other side I started to french braid a couple of strands horizontally and then continued downwards with simple braids. 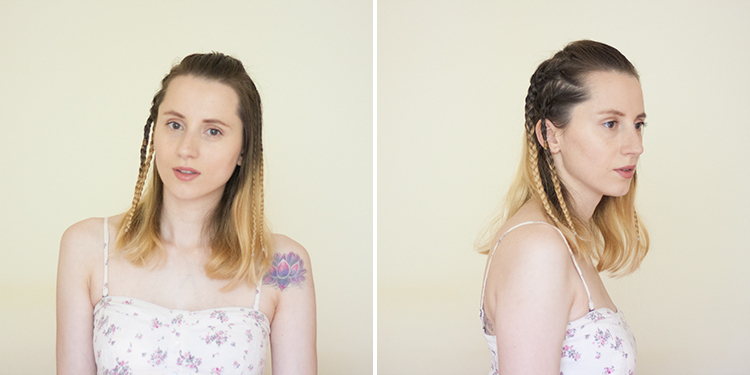 You can do as many braids as you want, some can be thinner, others thicker. 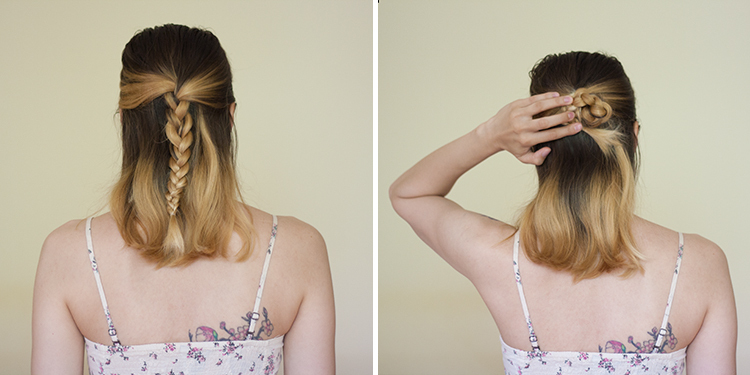 This hairstyle is my favorite and it's super easy and fast. 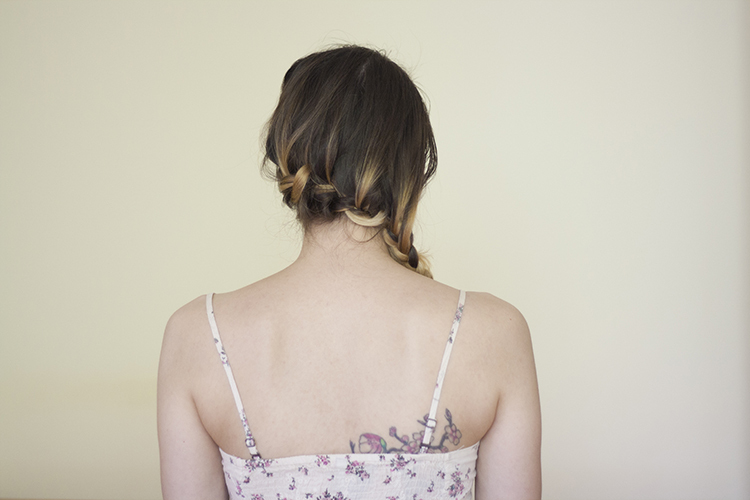 I started by separating the hair on the top of my head and the sides and brading it into a simple braid. I tied it with a clear hair band so that I could hide it better. I then wrapped the braid around the base, into a spiral. The longer the hair, the bigger the spiral. I used a couple of bobby pins to hide the end underneath, and a couple more to secure the bun. I pulled on the hair strands in the braid to loosen them up a bit and give the bun a little more volume. It kind of looks like a flower from a distance. I've already said this one's my favorite, but let me know which one do you prefer best. Most of the hair stylists like styling hairs with the help of different types of synthetic wigs, and it has always been in trend. Thank you for sharing video... i really like it.. see this here get more info..
Nice and thanks for Sharing the best. I know about the different styles braid hairstyles for medium hair click this site get very useful ideas about hair colors and styles.